What Makes Clover™ Different from the rest? 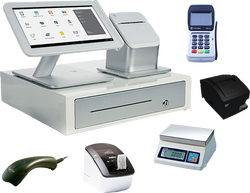 Clover™ is considered the very first "Smart POS." It not only performs all of the things a normal POS does, but it's App market allows it to grow even bigger and reach bigger audiences. Major apps like ECWID allows you to have full E-commerce integration. Make decisions like this can help your business to grow. There are over 5,000 developers currently working on new apps to make Clover more powerful and more custom tailored for you. Running a business typically means you’re doing more than one thing at a time. It also means you can’t afford to let critical functions slip through the cracks. With Clover™ Station, that’s one less worry you’ll have. It’s a complete business management system that helps everything stay on track, so you can focus on the fun stuff. Clover™ Station is intuitive and easy to use. Right out of the box, you’ll be able to: • Accept more types of payments from magnetic strip and EMV® credit and debit cards to Apple Pay™ without additional equipment or complicated software. • Protect your customers, business and reputation from fraud with built-in TransArmor Solution. • Easily set up a mobile loyalty and rewards program that drives business using the free Perka Punchcard app. • Tap into valuable insights about your business with Insightics Free*. • Manage returns, inventory and even employees with advanced software and unique apps designed to help you customize your system. Clover™ Station runs on cloud-based software so you can access your business information wherever you are, from a computer, tablet or mobile phone. And, as you grow, you can enhance and customize your system with apps from the fast growing Clover™ App Market. Today in History makes your customers' purchase experience more memorable! With Today in History your business will be able to take advantage of the psychological phenomenon of Classical Conditioning: Your customers will associate your business with the positive experiences of learning new facts, feeling informed, and sharing facts with others. Beyond a customer's own thoughts, this can result in conversations about your business and social media mentions that would not have otherwise occurred. Your business will be associated with fun historical facts in your customers' minds long after they make their purchase. This app will print random fortune quotes on the bottom of your customers receipt, similar to a fortune cookie, minus the cookie. 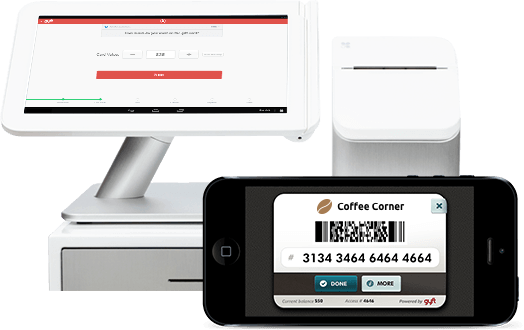 This app is great for any business owner who wants to increase customer retention by providing a customized receipt. Watch your Social Media reviews grow and attract new customers as you provide a positive and memorable customer service experience. Get the app today and enjoy the results. Unlike other apps, this will print a random fortune quote every-time, making each customer experience memorable and unique. 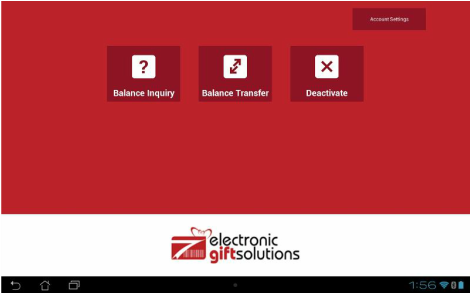 - Check gift card balances, transfer balances and deactivate cards all for free... Even re-use cards too! - Brand your business with a full-color gift card featuring your custom design and even a logo! - No monthly fees or annual card order requirements! Simple, pay-as-you-go pricing! - No transaction fees for gift card Redeems, Voids, Balance checks or Add Value transactions! - You're only charged when you activate a new card for the first time. Getting setup is simple! Call an eGiftSolutions Coordinator at 1-800-966-5520, Option 7 or email sales@egiftsolutions.com. We'll review your gift card options and the order process. In as little as 7-10 days you will have full color gift cards. Why should I use Smart Coupons? "Wow, I have a coupon for a 10% discount. Let’s see what I can use it for!" Try the app at no risk for the first 30 days. 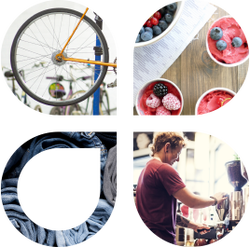 Make real-time pricing, menu and inventory changes across the entire chain, individual stores or a defined group of stores. Create reports. Update inventory. 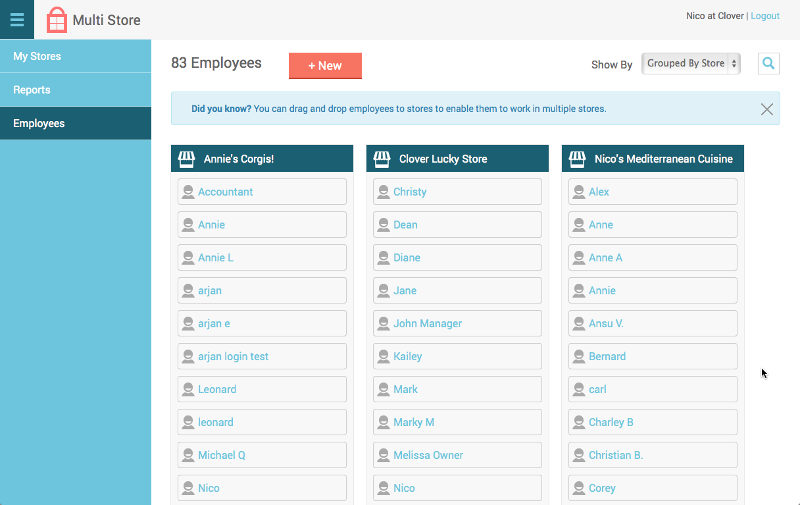 Manage employees across the chain or at a store level. This powerful app creates a hierarchical structure that enables numerous features desired by multi-location merchants such as franchise organizations (QSRs, restaurant chains) and retailers. Multiple Stores - Why stop at one? The Multi Store app provides reports on sales, profitability, adjustments, and quantity sold for all of your stores. 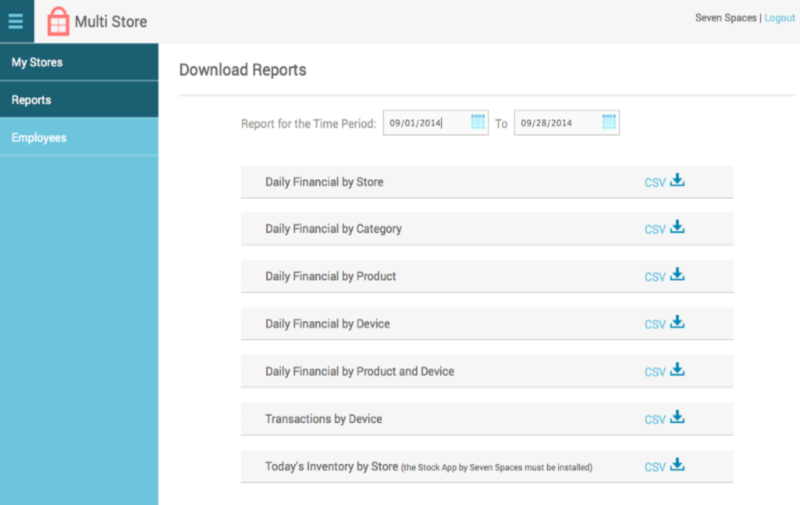 You can also filter the reports by store, by category, by product or device, and specify the time range of each report. Single Store Owner can install Multi Store app to get various sale reports as well as use Stock Reporting app. When you use the Multi Store app with the Seven Spaces Stock app, you can also get reports on the cost of items for all of your stores as well as use the reports to check the inventory quantity and cost across all of your stores. 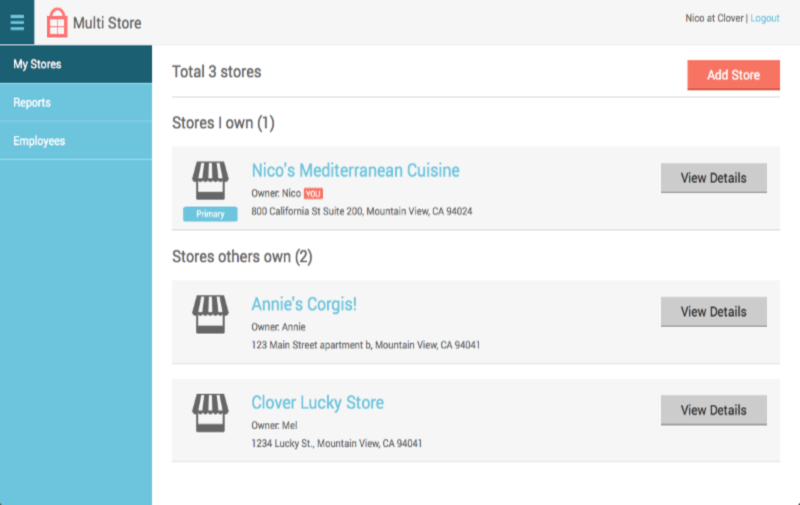 With the Multi Store app you can specify which employees have access to Clover in each store. 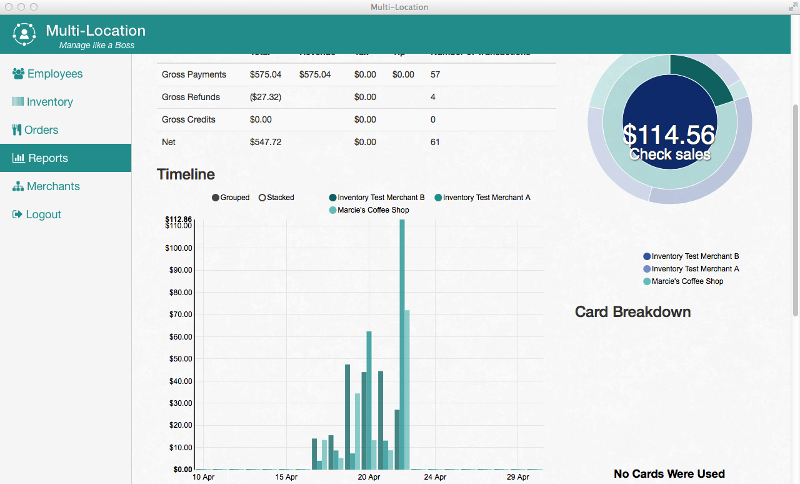 The Multi Store app is integrated with all of the information in your Clover account. The Multi Store app can only be accessed by users with an Admin-level Clover account. Process payments for card information that you receive over the phone. Using this app for phone sales allows you to enter additional address verification information that helps prevent fraudulent activity.